Unfortunately, too many homeowners neglect critical tasks of lawn care simply because they don’t fully understand why those chores matter. Just as you need a delicate balance of activity, rest, food and water for your body to function properly, your lawn has relatively specific requirements to grow thick, green and gorgeous. Before you kill your lawn due to negligence or over-care, you should learn more about what your lawn really needs and why. Mowing is the quintessential lawn chore, but it is one that most homeowners get woefully wrong. 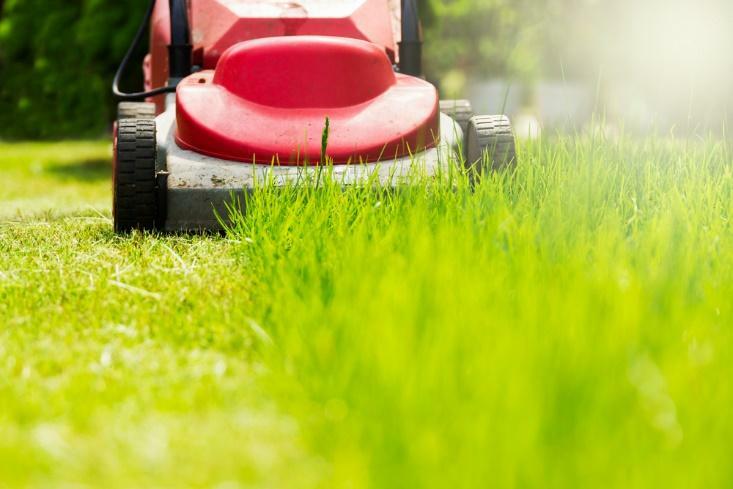 Too many homeowners believe they can mow whenever and however they like. Yet, mowing serves a greater purpose than aesthetics, so lopping grass off at your discretion is a good way to send the plant into shock and create unsightly dead patches. Mowing controls, the growth of grass, much like pruning a tree, controls how it grows branches. In mowing, you are encouraging your grass to grow thick but not high, resulting in a lusher lawn that is more effective at resisting weeds and pests. During peak growing seasons, like late spring and summer, you should mow at least once per week, so grass doesn’t get too tall. That way, you can avoid cutting off more than one-third of the plant at once, which will prevent your lawn from going into shock. Plants need water to live, so the more water you give your lawn, the better it will grow — it seems like a simple equation, but the reality is far from simple. The truth is that different types of grass in different environments need different amounts of water and in different ways. For instance, if you live in the soggy Pacific Northwest, you might never need to artificially water your grass because the perennially leaking sky does it for you; if you live in the arid Southwest, you need to give your grass long, slow drinks during cool times of day (morning and evening) to prevent evaporation; and if you live in the humid but sunny South, sprinklers might be your best bet for delivering water without creating a permanent marsh. You should research your grass variety to understand more about how much water it needs every week (usually between 1 and 2 inches). One lawn chore few homeowners know about is aeration or punching holes into the lawn to loosen compacted soil and deliver more nutrients to the roots. Aeration is a critical task in areas that experience winter snows or in lawns that endure heavy foot traffic. Unfortunately, if you fail to aerate your lawn properly, your lawn will brown and die in compacted areas. Not every lawn aerator is equal, though. While spike aerators are cheap and easy to use, they often worsen the problem by driving more soil into already compacted areas. If you are committed to aerating your lawn yourself — and not using a professional lawn care service — you should invest in a coring aerator, which removes plugs of soil from your lawn to solve the compaction problem. Just as you can’t exclusively eat potato chips and enjoy picture-perfect health, you shouldn’t feed your grass one type of fertilizer and expect it to grow into an award-winning lawn. To fertilize properly, you need to understand what the components of fertilizer do, so you can address lawn issues with the right nutrients. While there are dozens of micronutrients in different varieties of fertilizer, all fertilizers contain three big macronutrients: nitrogen (N), phosphorus (P)and potassium (K), which are written respectively in a three-number code on each fertilizer bag. Nitrogen is for producing leaf growth, phosphorus encourages strong roots and potassium is good for general strength and color of the plant. Thus, you want to apply a high-nitrogen fertilizer in spring and a high-phosphorus fertilizer in the fall. Additionally, how you spread the fertilizer matters. Using your hands to sprinkle fertilizer over your grass is asking for problems; you’re likely to over-fertilize some regions while missing others entirely, resulting in a patchy-looking lawn. Instead, you should buy a drop spreader, which more evenly disperses the food onto the soil. Plus, you can use the drop spreader in other lawn chores, like overseeding. Once you know the science and develop the right habits, lawn care isn’t difficult. However, if you don’t have the time or energy to learn the truths about your lawn, you might be better off hiring a professional to treat your lawn right.